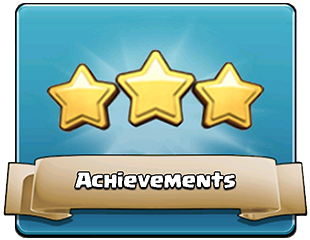 The Achievements are an indicators of your Progress in the Clash of Clans game. Completing Achievements gives you rewards in the form of Experience and Gems. Your Achievements will also appear in the Game Center and on your Profile; each Achievement gives you a set amount of Game Center points. Since the «Player Profile» update, player’s achievements/status (including over-achievements) are made public. There are 72 Achievements, united by types in 24 Groups, currently available. Destroy ??? Eagle Artillery in Multiplayer battles ?,000 ??? Donate ??? spell storage worth of Spells ?,000 ??? Completing every currently available Achievement gives a total of 8,687+ Gems and 35,320+ Experience, which is enough to buy all five Builder’s Huts (and then some) thanks to the newly added achievements. Completing the entire only one (but hard) League All-Star achievement totals 3,250 , which is only 250 away from the price of the third, fourth, and fifth Builder. 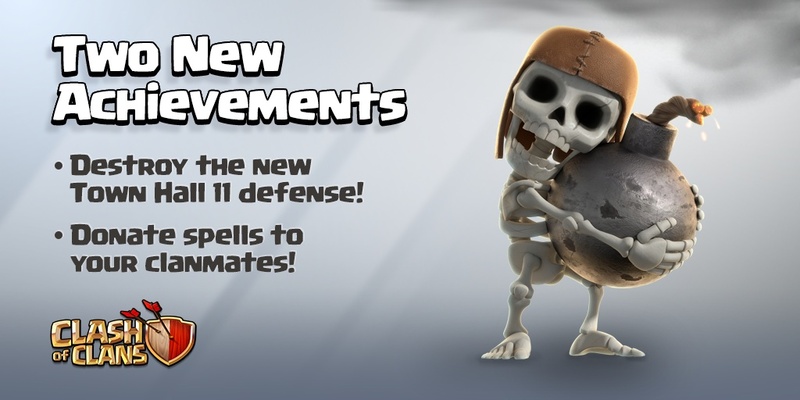 Clan games and Clan war leagues have brought many new achievements, these are not updated here. You can set the X-Bow to attack only ground targets at long range.